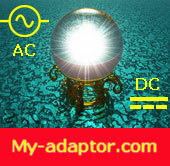 You are visiting the Shipping page of my-adaptor.com. Order 110660112 was shippped out to Belgium address successfully. Order 110660054 was shippped out to United States address successfully. Order 110660048 was shippped out to Japan address successfully. Order 110659970 was shippped out to United States address successfully. Order 110659961 was shippped out to United States address successfully. Order 110659910 was shippped out to United States address successfully. Order 110659906 was shippped out to United States address successfully. Order 110659903 was shippped out to United States address successfully. Order 110659776 was shippped out to United States address successfully. Order 110659735 was shippped out to Italy address successfully. Order 110659730 was shippped out to United States address successfully. Order 110659608 was shippped out to United Arab Emirates address successfully. Order 110659594 was shippped out to Hong Kong address successfully. Order 110659575 was shippped out to United States address successfully. Order 110659526 was shippped out to United States address successfully. Order 110659497 was shippped out to United States address successfully. Order 110659482 was shippped out to United States address successfully. Order 110659479 was shippped out to United States address successfully. Order 110659471 was shippped out to United States address successfully. Order 110659470 was shippped out to United States address successfully. Order 110659459 was shippped out to Netherlands address successfully. Order 110659450 was shippped out to United States address successfully. Order 110659432 was shippped out to United States address successfully. Order 110659430 was shippped out to United States address successfully. Order 110659425 was shippped out to United States address successfully. Order 110659419 was shippped out to United States address successfully. Order 110659404 was shippped out to Netherlands address successfully. Order 110659339 was shippped out to United States address successfully. Order 110659331 was shippped out to United States address successfully. Order 110659328 was shippped out to United States address successfully. Note:All the package include a free US / EU / UK / AU power cable, if we don't have a correct power cable for your country, a US power cord will be include. 3. We also can ship item to follow countries in the world. You will recieve an email with tracking number , tracking url after your pacakge was sent out. You also can get the tracking number by yourselft with follow form and button. Orders From other Countires: The Tracking Number and Tracking Url will be sent to you when your item was sent out. 5.We are not responsible for wrong or undeliverable address. Please make sure your shipping address is correct and deliverable. The address can be your home, your place of business, your travelling aim place, or another residence address and all of the packages can be tracked. 9. Items are generally shipped out at the same day when order placed before PM 15:00, or the next business day after payment has been verified (Sat. & Sun. and most national holidays excluded). In general, it may take about 7 – 15 days for delivery.